Subscription boxes are all the rage — you can get everything from books to beer delivered to your door each month. But until recently, fresh food was off the table for subscriptions. 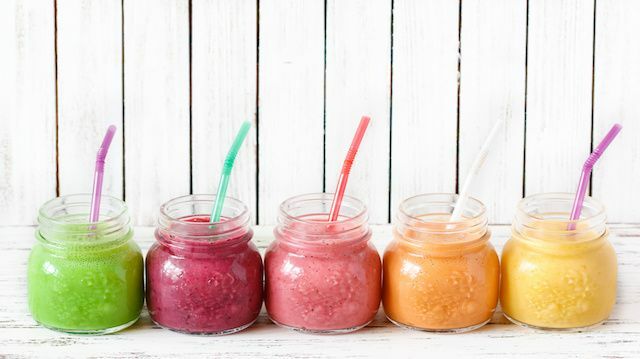 Now there is good news for smoothie lovers, as a new subscription service, offered by Green Blender, will deliver ingredients for smoothies straight to your door. The company will ship a weekly supply of fresh fruit and vegetables with enough ingredients to make 10 smoothies. All ingredients are pre-portioned so that the user only has to drop the sectioned portions into the blender each morning. Recipes and produce quantities are based on 12-ounce servings. Each box comes with a double portion of five different recipes, giving you that total of 10 smoothies per box. Originally, Green Blender smoothies were only available on the East Coast, but now the subscription service has expanded to a small area on the West Coast. The subscription box is not delivered to the southern or central parts of the United States, but the company plans to keep expanding if all goes well. Smoothies are priced at $49 per individual box, $44 a box for a monthly subscription, and committing to 12 boxes costs just $39 per box. Although the subscription is not cheap, the cost per smoothie comes out to under $5 per smoothie. For the average cost of a fast-food breakfast, you get all organic ingredients with exciting new recipes each week. If you live on the East Coast or in Los Angeles and are interested in fresh, healthy breakfasts delivered to your door weekly, check out Green Blender. Hey Buddy!, I found this information for you: "Now You Can Have Fresh Smoothies Delivered To Your Doorstep". Here is the website link: https://www.thealternativedaily.com/fresh-smoothies-delivered-to-doorstep/. Thank you.